Jessica Leighton was born in Bogota, Colombia where she spent the earlier stages of her life before moving to the Cotswolds. It was her exposure to the vibrant and bold colours of South America and her travels that have fuelled her passion for portraying on canvas the different landscapes she comes across. 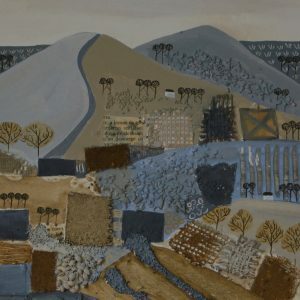 Jessica’s paintings depict the countryside in different seasons blending together her South American roots with the scenery and seasonal crops of the Cotswolds. 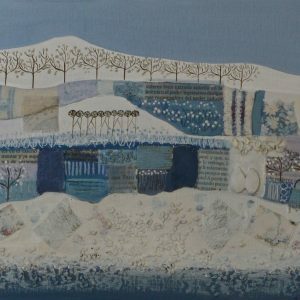 Jessica uses mixed media including newspaper, seeds, buttons, coins, mod rock and beads which continue the recurring theme of the countryside. 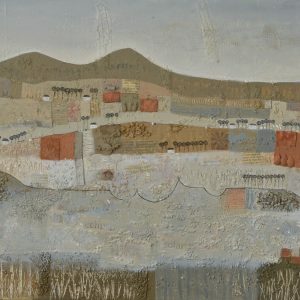 Jessica applies layers of paint which are then scratched away and often adds a collage of paper to her images before and during the application of paint which creates added texture. The pulses and seeds are a representation of the fibrous harvest. The coins and buttons are a symbol of crop rotation and their circular shape depict the ongoing cycle of mixed agriculture. Texture, composition and light are key factors in capturing the landscapes. 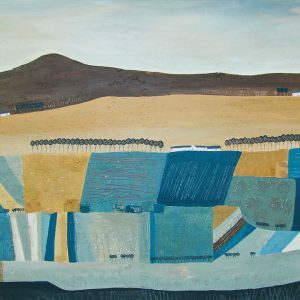 Her paintings are very much about shapes and patterns with the main aim of making the shapes interesting to look at not only from afar but up close as well.